Billy’s Terrace Café at the Jatiluwih rice terraces is one of the restaurants offering the best vantage point, which serves local selections and buffets. Why Billy’s Terrace Café is special ? Billy’s Terrace Café, located right at Jatiluwih Rice Terraces, after visiting the coffee plantation, one can having launch here for couple of minutes. This restaurant has Buffet food, such as chicken satay, chicken curry, noodle, fried rice, soup, salad and etc. 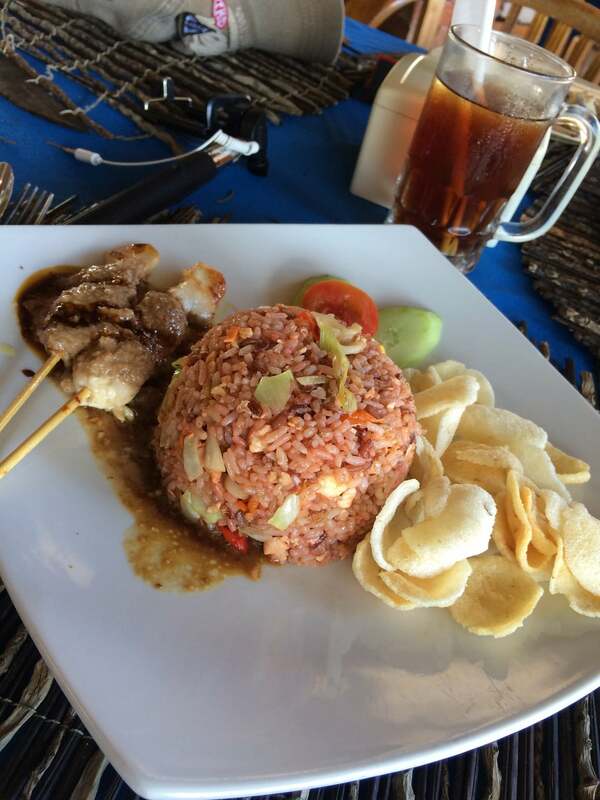 Food is nice and delicious, most of customers are happy to have launch at this restaurant while can see the magnificent view of the rice terrace right at the front ot the place. How to get to Billy’s Terrace Café? Billy’s Terrace Café is located right at Jatiluwih Rice Terraces. There's no public bus take you to the rice terrace. So it's best to travel by your private car or hire a taxi to take you there. There is an ala carte menu reasonably priced or a buffet of Balinese and Indonesian foods for $8 per person including a cold dink, tea and coffee. When you ask for the bill the add up is 20% for tax and service. This is a good Balinese restaurant overlooking the stunning Jutiluwih Rice terraces. The restaurant serves both local and international meals. An A la carte and Buffet menu service is available depending on your needs. All food was well presented, tasty and reasonably priced. Staff were prompt, efficient and polite. A great spot for an overview of the terraces. Would recommend this place and would certainly eat there again.